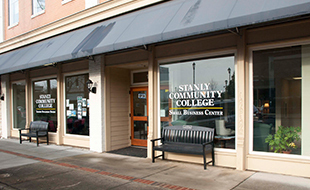 Stanly Community College is an equal opportunity educational institution and employer. 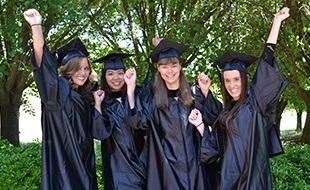 The College does not practice or condone discrimination in any form against students, employees, or applicants on the grounds of race, color, national origin, religion, gender, age, or disability consistent with the Assurance of Compliance with Title VI and VII of the Civil Rights Act of 1964, Executive Order 11246, Title IX of the Education Amendments of 1972, the Rehabilitation Act of 1973, and the Americans With Disabilities Act of 1992. Selections of proper texts are critical for student success. Faculty should select and recommend textbooks that cover appropriate subject matter for a course. Readability, defined as the reading level of a particular text, should also be considered when selecting texts. Affordability should be considered when selecting course materials and supplies for classes. It is important to adopt the same text for all sections of a course. Text selection will be approved by the program/department head prior to the start of the Fall term. Once approved, textbooks should remain in use for that course for a minimum of three years. Exceptions to this rule may occur with edition updates, textbooks no longer in print, or technology upgrades. SCC Bookstore staff will contact program heads should this occur. Adoption for three years allows the bookstore to offer used books to students at a more affordable price and to better plan for the coming semester. In compliance with Section 133 of the Higher Education Act, textbook information will be available to students at the time they register for a course. Textbook and other course information will be made available to students through the Web Advisor portal before the upcoming registration period begins. 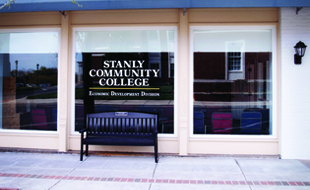 Faculty and Staff of Stanly Community College may not engage in the direct sale of instructional materials to students. Sufficient lead time must be provided if books are to be available on the first day of classes. The schedule for textbook adoption follows the timeline for production of the semester schedules. It is the goal of the Bookstore to ensure books are available on the first day of classes. As course sections are added after textbook adoption due date, the program head will notify the Bookstore immediately via email, so that additional texts can be ordered and received for the start of class. The following is a general guide for textbook adoption due dates. Note: a specific calendar will be issued July of each year. Faculty members should request complimentary desk copies from publishers (publishers will ordinarily honor desk copy orders from individual instructors, not from Bookstore staff.) If publishers do not grant the request for desk copies, faculty should submit an approved requisition to the SCC Bookstore to purchase a copy. Complimentary textbook may be used as reference materials. Complimentary textbooks may be given to the LRC, Academic Support Center, or Crutchfield Center. Complimentary textbooks may not be sold, given away, or used in any way that might violate copyright procedure. Should an instructor leave the College, complimentary textbooks remain property of the College. Those in charge of adopting textbooks to courses should make every effort to obtain a complimentary copy for the LRC and ASC. When selections are made, the Bookstore encourages the use of the most cost effective method for students. Offering used textbooks in the Bookstore, can offer significant savings to students. Following the textbook adoption rules helps the Bookstore to make more used copies available for student purchase. To foster an environment of consistency, it is important for all “like” courses to require the same materials. Courses that are “like” can be described as courses with the same description, prefix, and course code as outlined in the North Carolina Community College Combined Course Library.